A couple of months back I googled flavored milk and the results I got was stirring Kool Aid (similar to Rasna in India) in milk or making a syrup out of the Kool Aid and lot of sugar and adding the syrup to the milk. I wanted something with natural ingredients, something made of fresh fruits. Fortunately months later I have found the book The Sneaky Chef. I think I have written enough about this book in my previous post about Blueberry flavored milk. I have been trying out recipes from the book and I’m so glad that my son is eating at least some fruits without any fuss. I tried the blueberry juice and cherry juice earlier, which was a huge success. At first my son did not like the blueberry milk, but now he keeps asking for it. He doesn’t even know that his chocolate milk has cherry juice in it. He is happily drinking it. So I got some strawberries (two 16 oz packs) last weekend and tried the same technique. Will you believe me if I tell that he drank it completely in the last 3 days? I could have never made him eat so much strawberries just like that. I can’t wait to try other recipes from that book. Not only that, it also makes it interesting for me because, now I’m thinking what else can I sneak in his food, it’s sort of challenging your creativity. 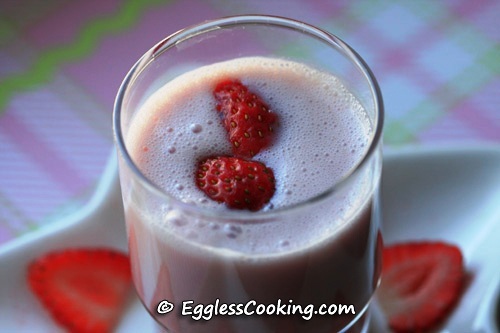 The Strawberry Milk is surely very tasty enough to entice any picky eater. 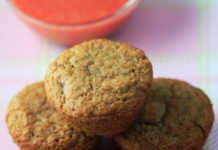 The ratio mentioned in the book is 3-4 tablespoons of the fruit juice to 1 cup of milk. You can mix it in any proportion. I tend to add more juice, so he can get an extra serving of the fruit. So I add juice until I get the enticing vibrant pink color. Earlier I used to simply blend strawberries, milk and sugar together to prepare strawberry milkshake, but this method had the drawback of having the small black colored seeds (I guess that’s what they call it). Even though I filtered it my son would be simply spitting to add to my fury. But in this juice method we are straining out the pulp and so that should not be a problem at all. Some of you may have a question, whether we will be losing the nutrition in the pulp. I didn’t have this problem at all, because I added extra water while boiling the strawberries and I also used an immersion blender to puree the mixture thoroughly. So while filtering I got most of the fruit, the pulp was very very less (when compared to the blueberry and cherry juice) mainly the black pits. 1. Boil the berries, water and sugar in a medium sauce pan. 2. Turn heat to low and simmer for 10 minutes. 3. The book mentions to mash the strawberries with the back of a spoon. But I used an immersion blender to blend the mixture thoroughly. 4. Pour the mixture into a fine mesh strainer over a bowl and press the strawberry pulp with the back of the spoon until all the liquid is released. Save the pulp to add to smoothies. 5. Store in the refrigerator up to 3 days or freeze 1/4 cup portions. 1. 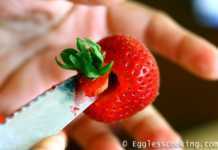 Buy organic strawberries because it is one of the 12 items which is most contaminated with pesticide residues. 2. This strawberry juice can be used in so many ways. Few recipes listed in the book are, freezing it in ice pop molds for natural and low sugar popsicles, mix it with sparkling water, mix it with lemonade, make berry syrup for pancakes mixing it with maple syrup etc. Next RecipeWant some cookies for breakfast? btw i have made by just 10 strawberries in water straight and with a little sugar . and i ll try yours for sure ………..
Sure try it Raza. You will like it. Please Can u suggest any ways of hiding apples? You’re welcome Sai. I use a Hamilton Beach immersion blender. I mainly got it to puree hot soups, because you can’t pour hot liquids in a regular blender and you would have to wait before blending it. 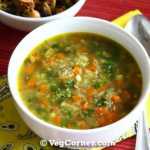 I also use to make keerai masiyal. Once the spinach cooks, I blend it in the vessel itself a couple of times. I’ve always wondered why no one has developed a strawberry soymilk, and now I can make my own. Thanks for sharing! lovely picture…looks inviting. ur breakfast bars are toooo good. have to try it sometime. thanks for visiting my blog and commenting. I saw that too Uma, but I thought the strips would be more enticing to make my son eat and he did eat it. I like your idea of blueberry/strawberry juice. The milkshake with all fruit pulp does not work here as well. I also like the idea of adding maple syrup which is think is very clever. Thanks RC. I tried cherry juice also from the book and that is good too. It blends so well in chocolate milk. Will post it soon. Madhuram, extremely useful..thks for sharing this new technique! I used to wonder despite the straining why kids don’t like the str. milk or juice? Now stands resolved! Hv both fresh as well as frozen berries here..shall try n post feed back..hope both my devils glob it! 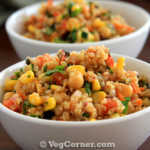 What a timely recipe, loved the instructions n notes too!! THANKS yet again!! Love strawberry milk. I have never tried making the juice this way, but I think this would have a more professional taste, like a store bought syrup. Yes I do, love the color. Reminds me of rose milk back home. He is 3 years old and is pretty much the same way as your kiddo. Tell him stories about other kids and he manages to gulp down something. 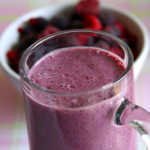 I did that too, mix in berries and bananas in milk and give it as milkshake and he hates it. I loved your idea od strawberry/blueberry juice and also adding maple syrup to this. Two flavored milks in a row! Hmm, I wish I was there, I would gladly drink up. Oh yes please and for me a whole glass too. 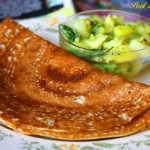 Falvoursome Milk Madhu..looks delish….kinda easy one..